It’s the 2nd January, the sales are still in full force and I’m still… skint. Dammit. But I won’t let that put me off my Want it on Wednesday feature. Oh no. I’m made of stronger stuff. 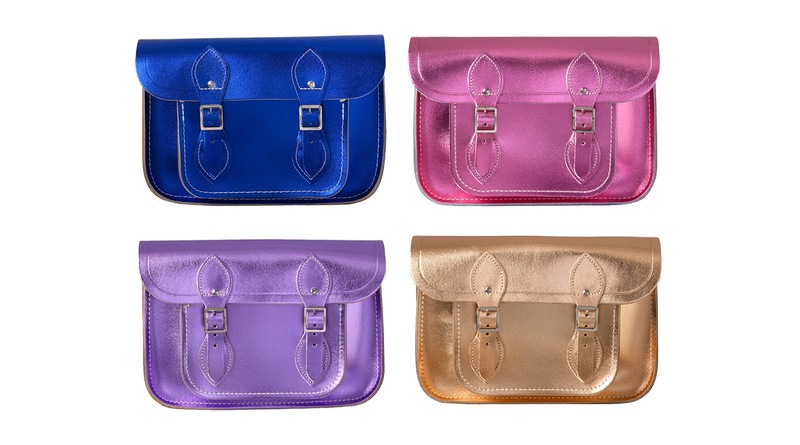 Plus, I come bearing good news… The Cambridge Satchel Company have reduced the price of their metallic range. Whoop! Oh yes indeed, one of these shimmering beauts could be yours for £78. You can choose from royal blue, pink, lilac and rose gold and decide whether you want the 11in or 13in. Personally I’d have to go for the gold as it’s first one I spotted but it’s closely followed by the lilac. Don’t worry about me. I’ve only been after one since June last year. No biggie. Will just carry on waiting… patiently. Are you the proud owner of a satchel? If so, which one? "5 Reasons Why Kate Upton is My Girl Crush for 2013"
"How I Wear Sequins… On My Nails, Animal Print Style"
Having blue and metallic satchel designed like this is great! it would certainly make a perfect birthday present.